Green World Cardio Care Supplement. How You Can Have A Healthy Heart Using Green World Cardio Care Supplement. 1. Cardio Power Capsule has the aroma of precious herbs that are the extract of the root of red-rooted salvia and psuedo-ginseng. This product enhances blood and arteries circulation, alleviates blood stasis and relieves pain. it diffuses through the bio-membrane as well as blood-brain barrier, representing itself as a suitable choice for first aid. The mechanism of World Brand Cardio Power Capsule is to improve blood-oxygen supply, increase coronary blood flow, reduce the resistance of proximal blood vessel and improve blood deficiency. It is very effective to reduce the burden of heart and its oxygen consumption; expand the coronary artery; alleviate the chest stuffiness, suffocation, pericardia pain; prevent angina, arrhythmia, and myocardial infarction; and to treat coronary heart disease. 2. 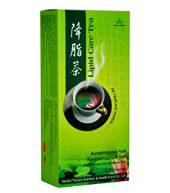 Green World Lipid Care Tea through diluting and dissolving the lipid substance in blood, helps to purify the blood, increase blood flow and speed, regulate blood circulation and blood pressure, significantly reduce the lipid substance and lower blood viscosity, improve and reduce the risk of coronary disease, fatty liver complications. 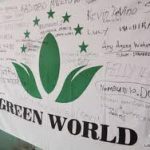 The lipid care tea we offer is a kind of health care supplements that is meant for controlling high blood pressure, cholesterol and triglycerides.Green World Lipid Lowering Tea comes from herbal plant essence and keeps the natural features of herbal plants. It has sweet taste, pleasant fragrance. Tea for lowering blood lipid is health drinks refined by advanced food processing techniques after medicine experts’ years of painstaking research, based on the traditional theory of the Chinese medical and food therapeutic healthcare and modern medicine principles. 3. Deep Sea Fish Oil is extracted from deep sea salmon, which is rich in condensed marine product fat, including precious multi unsaturated fatty. Omega-3 fatty acids have been shown to play a part in keeping cholesterol levels low, stabilizing irregular heart beat (arrhythmia), and reducing blood pressure. It nourishes the brain, very useful for brighter eyes and retard aging. 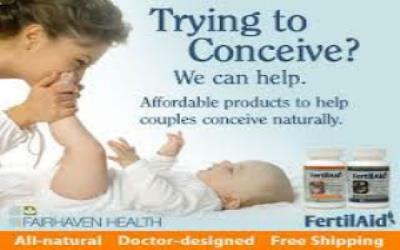 We supply a wide range of superior award winning nutritional herbal supplements and cosmetics. 4. Super Q10 capsule– The main ingredient of cell mitochondria is Coenzyme Q10, which is the element to generate energy. Coenzyme Q10 levels are reported to decrease with age and to be low in patients with some chronic diseases such as heart conditions, muscular dystrophies, Parkinson’s disease, cancer, diabetes and HIV/AIDS. Previous story Green World A-Power Capsule – Help Improve The Human Body’s Immune System.